Insulin resistance is one of the risks of chronic kidney disease (CKD). The triglyceride–glucose index (TyG index) has been suggested as a marker of moderate insulin resistance. We aimed to investigate the association between TyG index and incident CKD. In this historical cohort study of 11,712 participants (6026 men and 5686 women), we investigated the impact of TyG index on incident CKD. 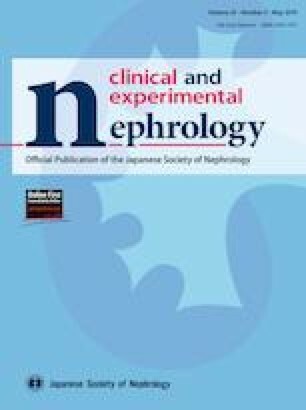 CKD was defined as estimated GFR less than 60 mL/min/1.73 m2 and/or proteinuria detected by dipstick test in fasting morning urine. TyG index was calculated as ln [fasting triglycerides (mg/dL) × fasting plasma glucose (mg/dL)/2]. Cox proportional hazard models were performed to investigate the impact of TyG index on incident CKD, adjusting for age, BMI categories, waist circumference, smoking status, exercise, logarithm of alcohol consumption, systolic blood pressure, serum albumin, hemoglobin A1c, hyperuricemia, low HDL-cholesterol concentration, high LDL-cholesterol concentration, CRP, creatinine, and gamma-glutamyltransferase. During the median 4.0-year follow-up duration for men and 3.7-year follow-up duration for women, 261 participants (120 men and 141 women) developed CKD. In Cox proportional hazard model, TyG index presented the significant risks for incident CKD in both men and women (men, hazard ratio 1.32, 95% confidence interval 1.02–1.70, p = 0.036, women, hazard ratio 1.50, 95% confidence interval 1.05–2.13, p = 0.024). This study revealed that TyG index can be a predictor of incident CKD. The online version of this article ( https://doi.org/10.1007/s10157-019-01729-2) contains supplementary material, which is available to authorized users. We thank all of the staff members in the medical health checkup center at Asahi University Hospital. Yoshitaka Hashimoto received Grants from the Fuji Foundation for Protein Research, outside the submitted work. Michiaki Fukui reports Grants from AstraZeneca plc, Grants from Astellas Pharma Inc., Grants from Nippon Boehringer Ingelheim Co., Ltd., Grants from Daiichi Sankyo Co., Ltd., Grants from Eli Lilly Japan K.K., Grants from Kyowa Hakko Kirin Company Ltd., Grants from Kissei Pharmaceutical Co., Ltd., Grants from MSD K.K., Grants from Mitsubishi Tanabe Pharma Corporation, Grants from Novo Nordisk Pharma Ltd., Grants from Sanwa Kagaku Kenkyusho Co., Ltd., Grants from Sanofi K.K., Grants from Ono Pharmaceutical Co., Ltd., and Grants from Takeda Pharmaceutical Co., Ltd., outside the submitted work. 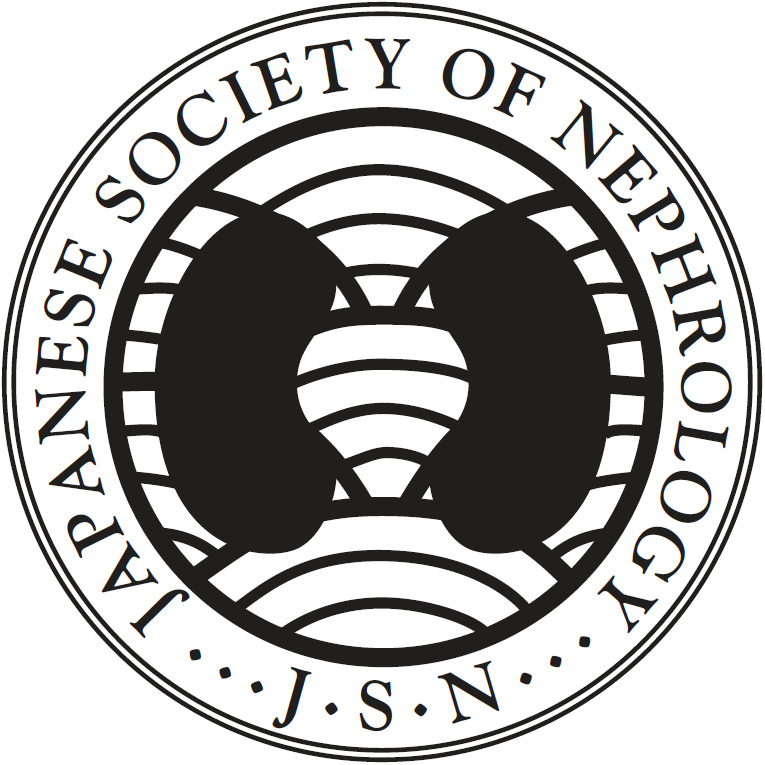 The sponsors were not involved in the study design; in the collection, analysis, interpretation of data; in the writing of this manuscript; or in the decision to submit the article for publication. The authors, their immediate families, and any research foundations with which they are affiliated have not received any financial payments or other benefits from any commercial entity related to the subject of this article. The authors declare that although they are affiliated with a department that is supported financially by pharmaceutical company, the authors received no current funding for this study and this does not alter their adherence to all the journal policies on sharing data and materials. The other authors have nothing to disclose. All procedures performed in studies involving human participants were in accordance with the ethical standards of the institutional research committee at which the studies were conducted and with the 1964 Helsinki declaration and its later amendments or comparable ethical standards.